Don’t you just love easy Crockpot recipes! 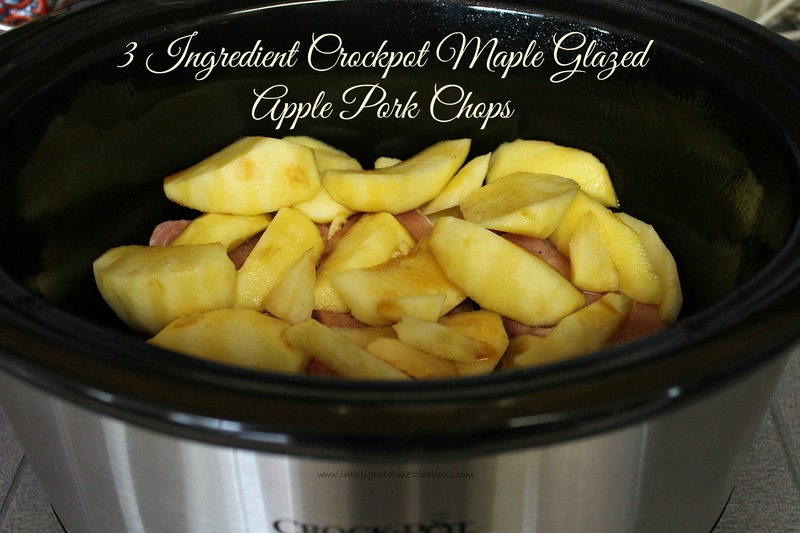 This 3 Ingredient Crockpot Maple Glazed Apple Pork Chops Recipe is super easy and full of flavor. Save this recipe for future reference! 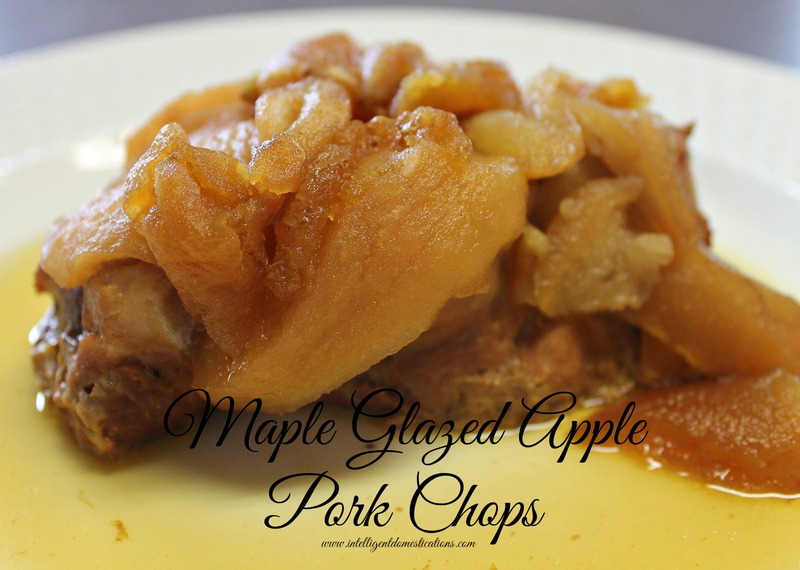 The only dish I served with our Maple Glazed Apple Pork Chops was rice. Isn’t it funny how we seem to believe that rice and pork go so well together. My recipe calls for four pork chops but you can adjust the recipe for the number of people you are serving. 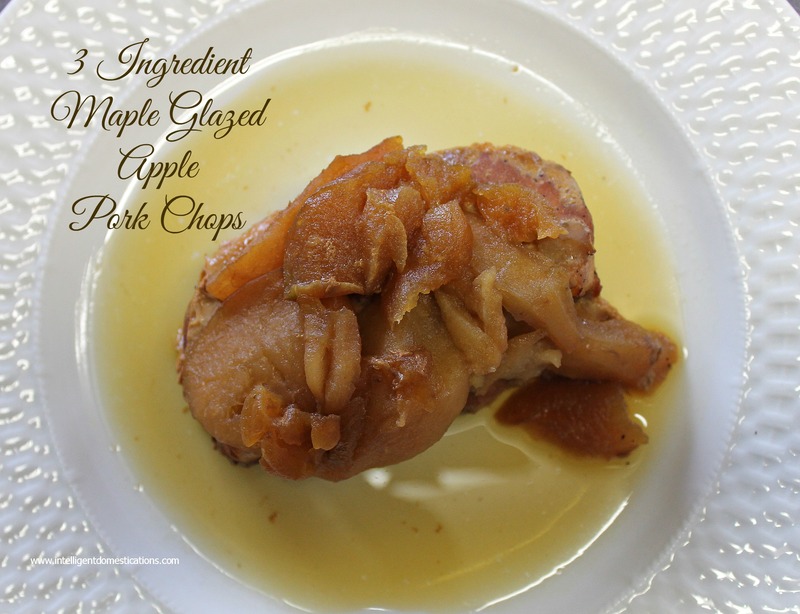 If you need to layer the pork chops in the slow cooker, be sure to place a few apples in between the layers. Scoop up a bit of the juice from the bottom of the Crockpot to serve with these scrumptious pork chops for dinner! Follow intelligent domestications’s board Fall Frolics, Food and Fun on Pinterest. Place the pork chops into the bottom of the Crockpot. Top the pork chops with peeled and cut up apple slices. Drizzle the Maple Syrup over top and let it cook! Simple, easy, and delicious, what a great recipe idea. I pinned this! It sounds really delicious! Is that 4 hours on high or 4 hours on low? My crockpots don’t have time settings, I set the time after selecting the heat setting. Thanks! Ah, so sorry. I should have realized everyone has different Cockpot settings! It is a High heat. You can simmer it longer on a Low heat if you desire. Thanks for stopping by and especially for asking! Thanks for the reply! Putting it on the meal calendar for later this month! I’m glad you like it. You just can’t beat 3 Ingredient Tasty meals, especially when the Crockpot does all the work!